We are Certified SITEOPS Professionals. We have been been trained and certified in the use of SITEOPS, able to deliver you rapid conceptual site design, generate cost-optimized options, and conduct what-if analysis. SITEOPS is a revolutionary, patent-pending, optimization software for the land development industry, developed by BLUERIDGE Analytics, Inc., Charlotte, NC. SITEOPS reduces the time and cost associated with site development. Site parameters such as the boundary line, existing contours, building footprint, parking requirements, geotech data, and numerous other factors are entered into the SITEOPS program. 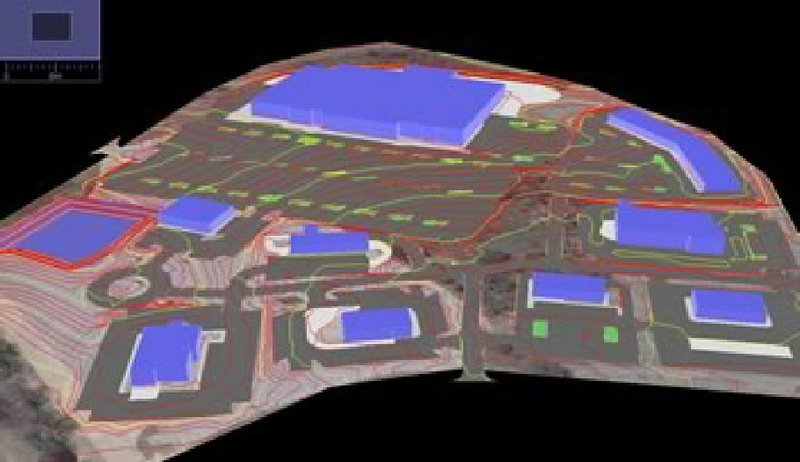 SITEOPS will compute millions of separate layouts, grading plans, and storm water options, along with the cost of each scenario and deliver the most economical 5 designs in the form of an DWG file and an Excel spreadsheet detailing the costs. J M Smith Engineering LLC is able to offer site assessments for your land development project, using the SITEOPS platform. For more information on SITEOPS, please visit www.siteops.com and call J M Smith Engineering, LLC today to learn more about the exciting product! SITEOPS optimizes the site design for the lowest possible site improvement cost. Subtle adjustments to the Finished Floor Elevation, Grading, and Layout can SIGNIFICANTLY affect the overall site work costs. SITEOPS allows you to quickly and accurately assess the site development costs of different site design options. Needed a different building pad? Needed to add gas pumps? Needed to tie into a storm sewer at a set location and elevation? Siteops software is an optimization program to help evaluate and get a head start on the design process.